When it comes time to retiring, many hope to purchase their dream home and spend the rest of their years relaxing and enjoying the fruits of their labor. In fact, research has shown that retirement age is actually the prime of life, for your children have grown and you have created a stable financial future for yourself and your spouse. As a result, you are less stressed and can actually enjoy the days ahead of you. However, there are still some grave financial mistakes you can make during retirement. While you have worked hard your entire life to be comfortable in retirement, it is still important to remain wise when deciding how much money to spend on your dream home. Many people tend to jump the gun when it comes to finding their dream home. After searching through home after home, desperately looking for one that meets all of your criteria, including size, price, and location, once you find the home of your dreams, it can be extremely tempting to make an offer immediately out of fear of losing that house to someone else. Unfortunately, if you have yet to sell your home or even list it on the market, it can be financially dangerous to purchase a new home. Whether you have already retired or are getting ready to retire within the next few months to a couple of years, paying two mortgages can deplete your savings quickly. Without working, it can be difficult to recover. 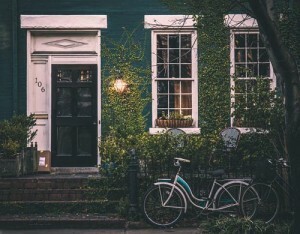 In this situation, if you feel it is important to purchase your dream home right away, as you have already fallen in with it, consider either including in your home offer a contingency stating you have time to sell your home, or consider using a company that purchases homes in cash as is. These types of companies are a convenient way to sell your home quickly and hassle-free. Many people are quick to move some place they have always dreamed of living even if it means moving out of state or far away from friends and family. While it can feel adventurous and exotic to move someplace new, it can also be lonely in a new place. Though you may have always dreamed of retiring on a lake front property, if your children and grandchildren are not nearby, it can quickly lose its appeal. In terms of health concerns, it can be smart to live near friends and family. Should an accident happen, you may find you need the help and support of your loved ones. It is smart to meet with a financial planner when it comes to purchasing a retirement home, as they can sit down with you and work out a feasible financial plan for you and your spouse in retirement. In some cases, many do not factor in the right number of expenses and end up struggling financially. When looking for a home, weigh all of the potential expenses against your budget in order to purchase a home within your means. Depending upon taxes, repairs, and other expenses, your large budget can suddenly feel small. Before making an offer or even looking at homes, make sure you are working with a budget you can actually afford. Many people are guilty of planning for the retirement they imagined instead of planning for a realistic retirement. When it comes to purchasing a retirement home, consider the future and possible scenarios. For instance, what happens if one of your passes away unexpectedly? Apart from the pain of loss, there are financial burdens to consider now, including a change in both income and taxes. While there is nothing wrong with spending the money you have earned, it is still important to think realistically about the future and make sure there is a plan in place should an unexpected scenario happen. Avoiding these financial mistakes can help you find the right retirement home you can enjoy for years to come without the stress of financial burdens.